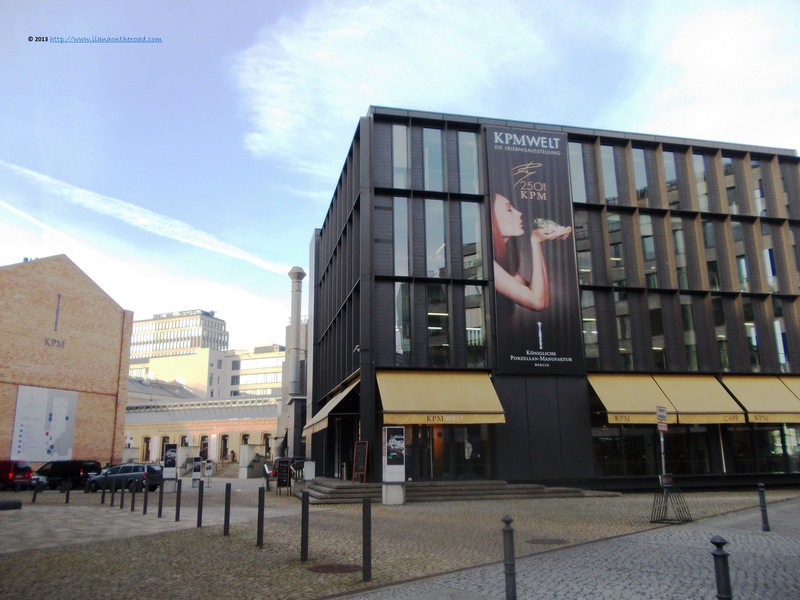 The Königliche Porzellan Manufaktur (KPM) - the Royal Porcelain Manufacture - is situated on Wegely street in the elegant Tiergarten district. Wegely was an intrepid businessman who requested to Friedrick II the privilege of setting up a manufacture as well as the exemption of custom duties, plus a building in Friedrichstrasse. 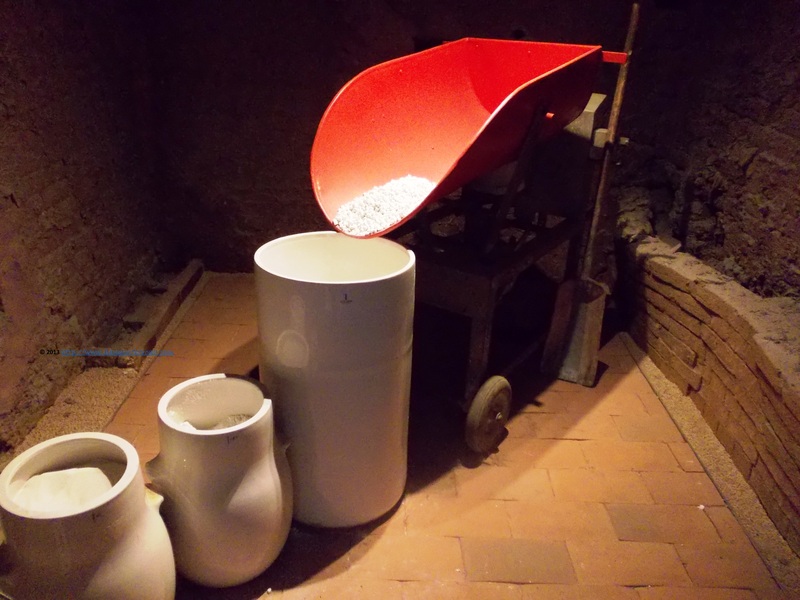 More than interested in getting the best advantages of the 'white gold', the king acquiesced and in addition forbade the custom officials to look into his barrels, as part of the plan to keep the secrecy the recipe of porcelain. Centuries and many more histories after, the arcanum continues to be a well kept secret. The cobalt blue sceptre present on all the branding information of KPM continues to be after so many time a symbol of elegance and history of Berlin, 250 years after. 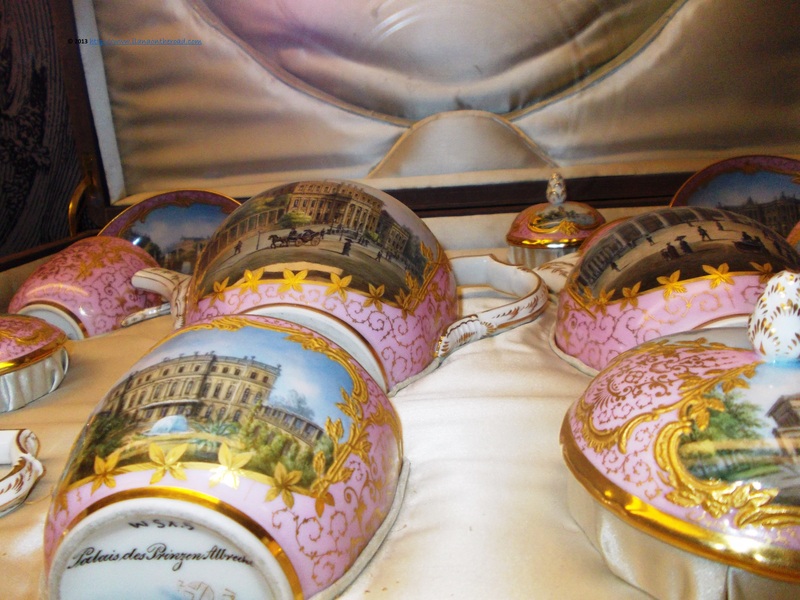 The German Art of 'Tischkultur' ('Table culture') so popular even today in the middle-class Europe owes a lot to Friedrick the Great's involvement in supporting and promoting the development of porcelain in Berlin and Brandenburg area. The original building is no more and the current factory was redesigned several times being considered as one of the only complex building in the city projected according to the principles of the pre-industrial revolution. Every chief modeller of KPM, created its own pattern yet following the direct preferences of kings. The techniques developed in time as well, as for instance was the case with the cobalt blue, a porcelain 'glasur' aimed to resist at very high temperatures. But it seems that no other king like Friederick the Great was so much involved in the daily work of the manufacture. He was visiting the premises very often and requested special models. 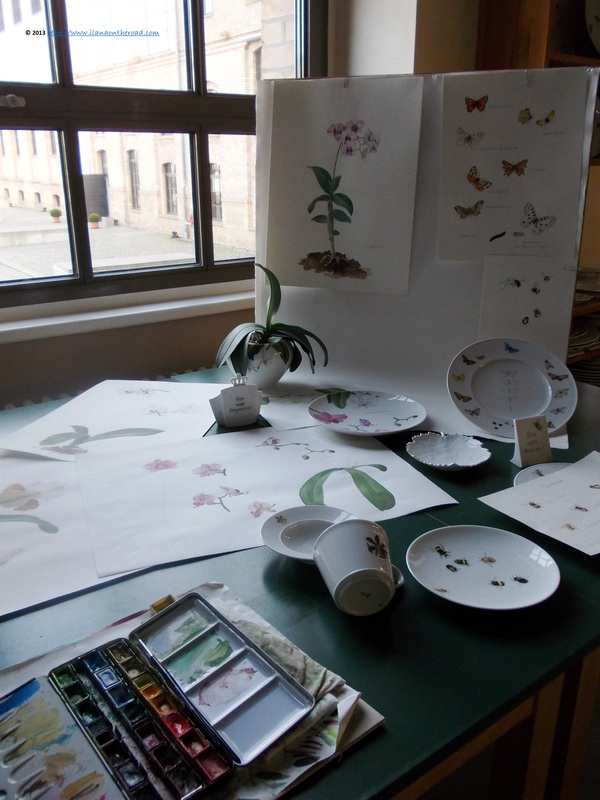 The story goes that one day, he saw a decorated porcelain with flowers and said that flowers without insects are not real. The next models still in use nowadays introduced discretely butterflies, bees and other insects as part of the landscape. 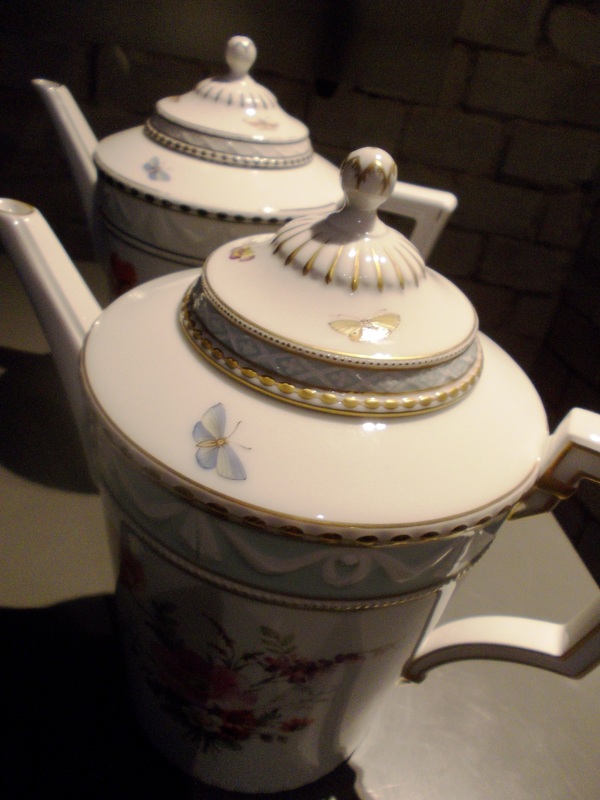 The recipe of the KPM porcelain - arcanum - remains a well kept secret, but was possibly improved in time, based on the result of information received via industrial spying - mostly in Vienna and other places where big trades were meeting - in the 19th century and later. Basically, the porcelain paste is made of kaolin (Chinese clay), feldspars and quartz. The purity of each ingredient guarantees the specific quality of each product. The main ingredients are mixed with water and drained in order to eliminate impurities. After, the composition is kept in a room with 100% humidity. The model created out of the paste is going through two stages of firing: it is first burned for 980C till the water is completely eliminated; second, it is dipped in a blue solution that burns off during the second firing. The expert eyes analyses the quality of the porcelain and stamp them with the KPM trademark only when there is 100% guarantee that no impurities are left. Usually, at the end of the stages of firing, the piece of porcelain is 60% smaller. Every single item produced is unique and hand-painted by a team of skilled artists. Oil paintings, like Watteau's, and classical statues served very often as inspiration for various decoration requested by the royal owners of the manufacture. Karl-Friedrick Schinkel, my favourite Prussian architect, created special porcelain collections too, most of them inspired by his architecture projects. Items made in the old style are available at the manufacture or part of the private collections. I always thought that is no difference between a porcelain statue and a statue in general. I was wrong. 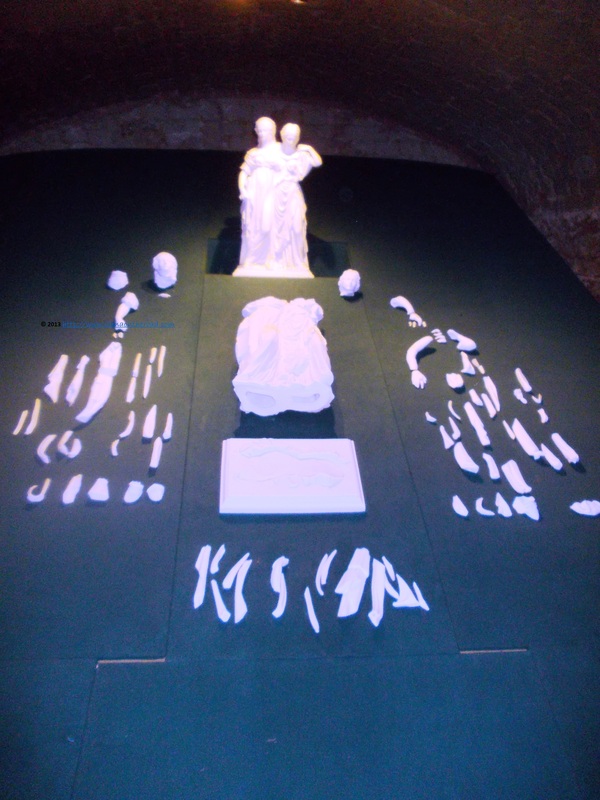 Each piece is produced separately and assembled later. It goes the same for a small cup of coffee, composed by a main body, lid, lid handle etc. A simple item is usually composed of 11-15 mould pieces. 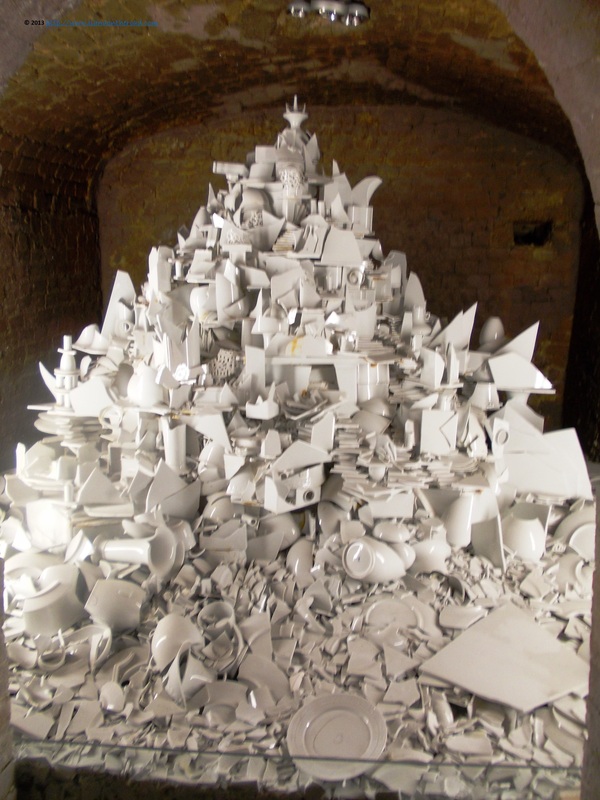 Due to the very strict selection process, many pieces of porcelain do not pass the test of purity and are joining the big mount of wreckage. Many of the pieces are re-used for various means, as for instance, for the composition of the floor. 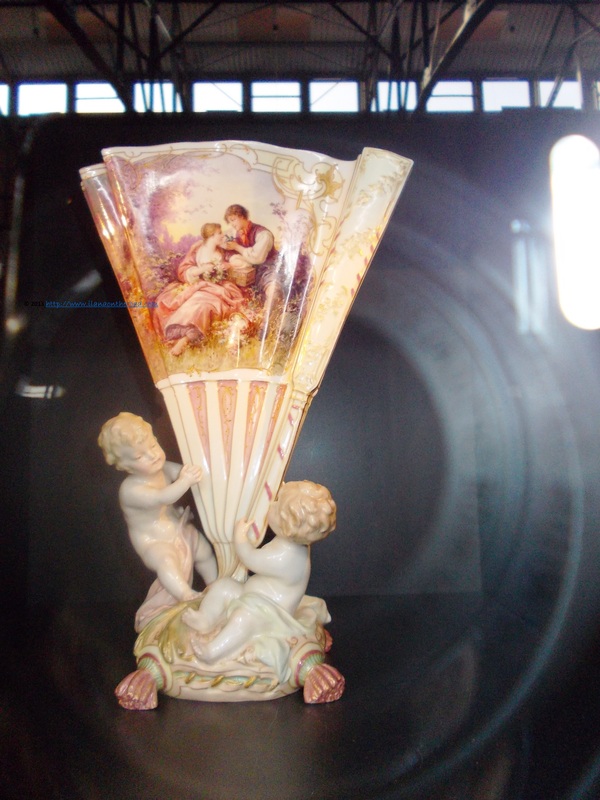 The work in the porcelain manufacture requests time, as every stage of the production is a punctilious effort. The work to a small cup of coffee may last between 1 and 12 weeks. The porcelain paste itself needs around 6 months till being clean enough for being used. As in the case of mining, many skills are transmitted from a generation to another. Each model is unique. The painter is inspired by a classical model, but he/she adds its personal touch and combination of colours. From Napoleon to the sultan of Brunei, all wanted to have their own piece of porcelain, whose fine lines and uniqueness were and still are almost the same subject of devotion as gold and diamonds. Defying time, KPM keeps the tradition of style and mystery. In 2013, I was offered a free German-English tour of the KPM. The opinions are, as usual, my own.